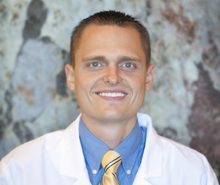 Dr. Snedaker and his wife have been married over 12 years and have four children. He is an avid sports fan, enjoys playing golf and loves to go fly fishing. But above all, he mostly enjoys just being a dad and spending time with his family. Dr. Snedaker is very kind, patient and easy to talk to and is motivated to provide the best dental care for each patient. "Practicing dentistry is a dream come true for me. There is nothing more rewarding than helping others. I love doing dentistry but even more importantly I love the interaction and relationships I develop with my patients. I especially enjoy helping patients overcome their dental fear and pain and turning it into a positive and successful outcome. I am very personable and value people and relationships. I always try to do what is best for my patients and will take as good of care of you as I would a close family member. I look forward to meeting you, learning of your unique concerns and desires and providing you with the best dental care possible."